Includes the names: A.L. Shields, Stphn LCartr, CarterStephen L, Steven L. Carter, Stephen L. Carter, Stephen Carter L.
Stephen L. Carter has 1 media appearance. Stephen L. Carter discusses Reflections Of An Affirmative Action Baby. Stephen L. Carter, "The Impeachment of Abraham Lincoln"
Stephen L. Carter takes historical fiction to the next level with The Impeachment of Abraham Lincoln. With this beloved president on trial for taking action beyond the powers of his office, Carter has wonderfully captured the question of the reach of presidential authority at times of war, and highlighted its timeless ambiguity. Stephen L. Carter reads from Jericho's Fall. Stephen L. Carter , Palace Council. Stephen L. Carter's book Invisible is currently available from LibraryThing Early Reviewers. Stephen L. Carter's book New Haven Noir was available from LibraryThing Early Reviewers. 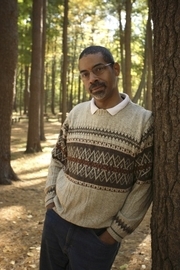 Stephen L. Carter is currently considered a "single author." If one or more works are by a distinct, homonymous authors, go ahead and split the author. Stephen L. Carter is composed of 8 names. You can examine and separate out names.